Do you find yourself having the best intentions with healthy meal planning and cooking, but then realize time is not on your side? You have a busy schedule, yet you desire to keep your family and yourself healthy each day by providing nutritious food and a balanced diet. 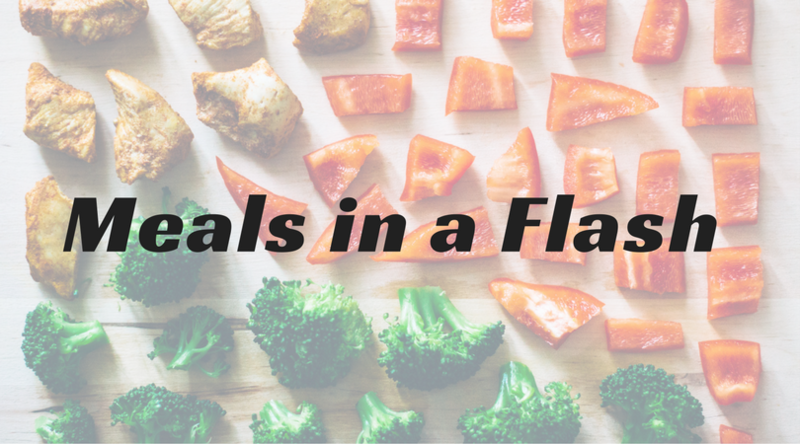 Being that it's National Nutrition Month, we thought we'd share some nutrition tips from our expert dietitians to provide helpful meal planning ideas. Here are some tips to provide quality food while saving time with meal prep. Supermarket Ease: Buy grated, chopped or pre-washed foods, such as bagged salad and cut-up fruits and vegetables. Open a Can: Choose lower-sodium canned vegetables and beans (or rinse them if not lower-sodium). Unsweetened or juice-packed (no syrup) canned fruits are simple additions to meals or as snacks. Serve No-Cook meals: Make simple meals, like salads with canned beans and fish or sandwiches with lean meat or cheese and sliced vegetables. Cook When you Have Time: On the weekends, make soup, stew or casserole. Cook larger quantities of lean meat or whole grains to add to meals later in the week. Freeze some of your meals for the really hectic days. Fewer Ingredient Recipes: Choose recipes with fewer ingredients that can be quickly prepared. Try kids' cookbooks for ideas. Try dipping snacks. Dips are a quick way to add more flavor & nutrients to your snacks. Try baked tortilla chips in salsa, apple slices in low-fat yogurt, or graham crackers in unsweetened applesauce. Use pre-cut veggies to add to your favorite dishes. Add chopped or grated vegetables (e.g., carrots, zucchini, and broccoli) to pizza, pasta, casseroles, or puree veggies and use as a sauce, or add to a favorite soup. Once you have followed these tips for a time, you will get in a rhythm of being extra resourceful with your meal planning and preparing and may even have a little time to spare!